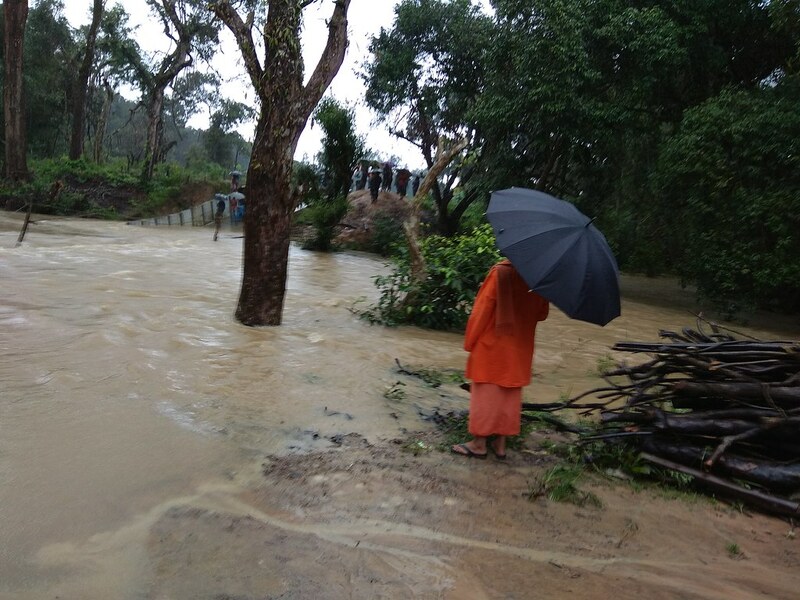 After several years, this year’s monsoon from May end to August first week, Kodagu District had bounty full of monsoon rains filling all the dams of Karnataka. 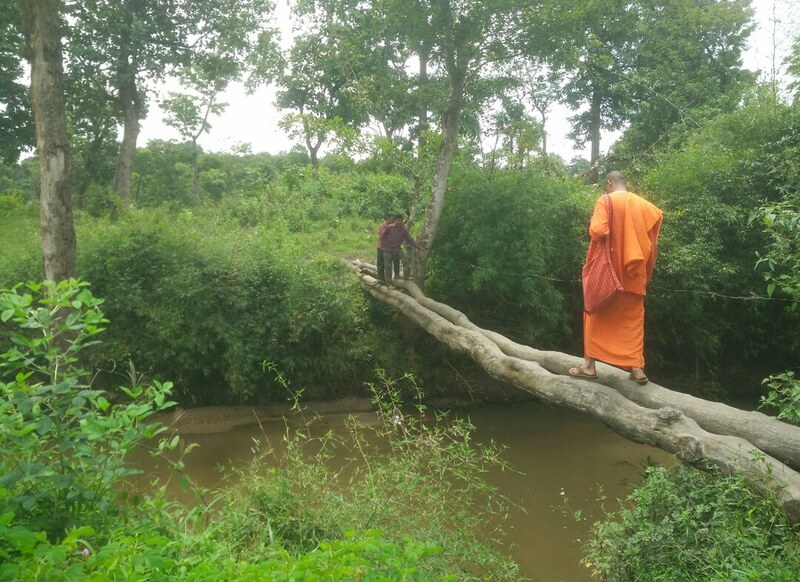 River Kavery was in its fullest flow after so many years. 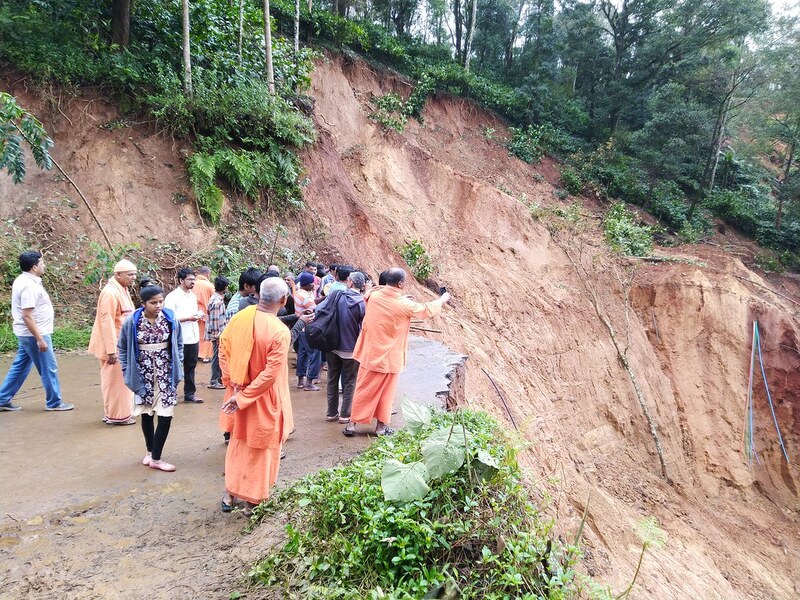 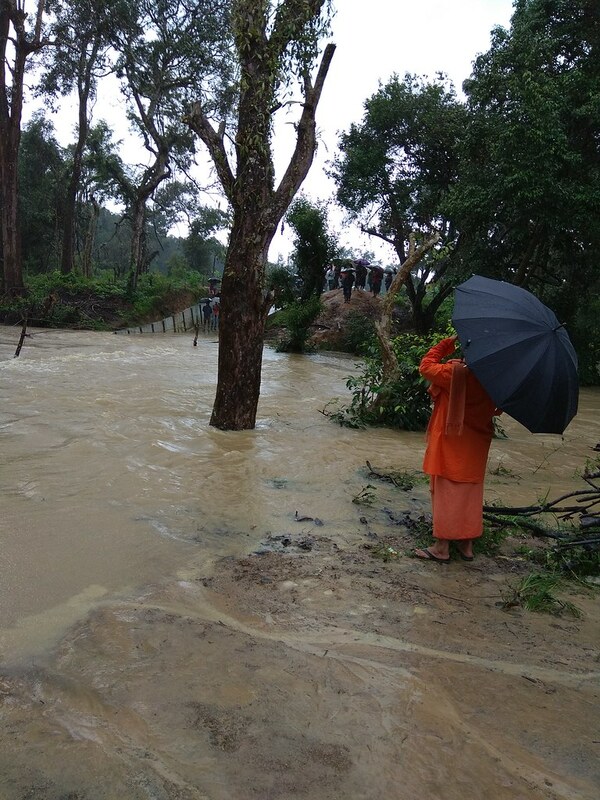 Under this situation, as a result of the continuous heavy rain on 15th and 16th August 2018, there were not only many landslides and flooding of water in Kodagu district of Karnataka, but also considerable amount of disruption in the normal life too. 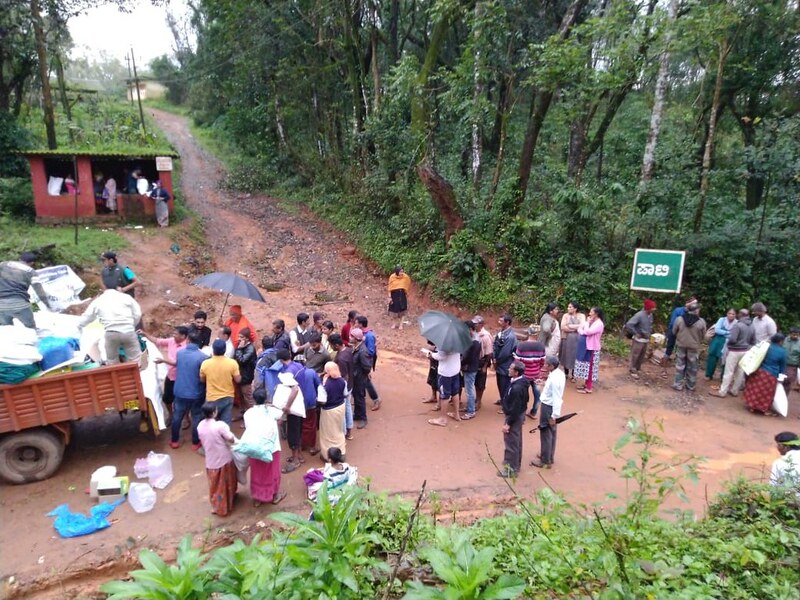 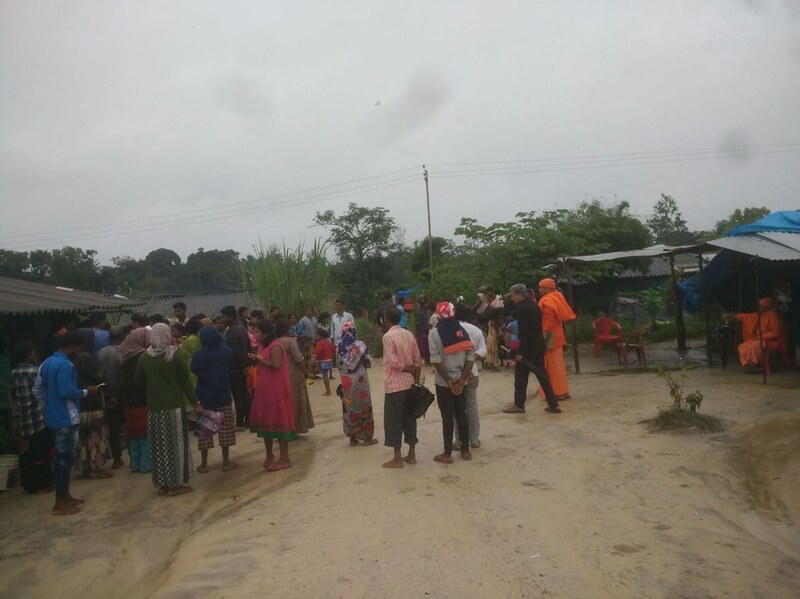 People were evacuated to special camps set up by the government. 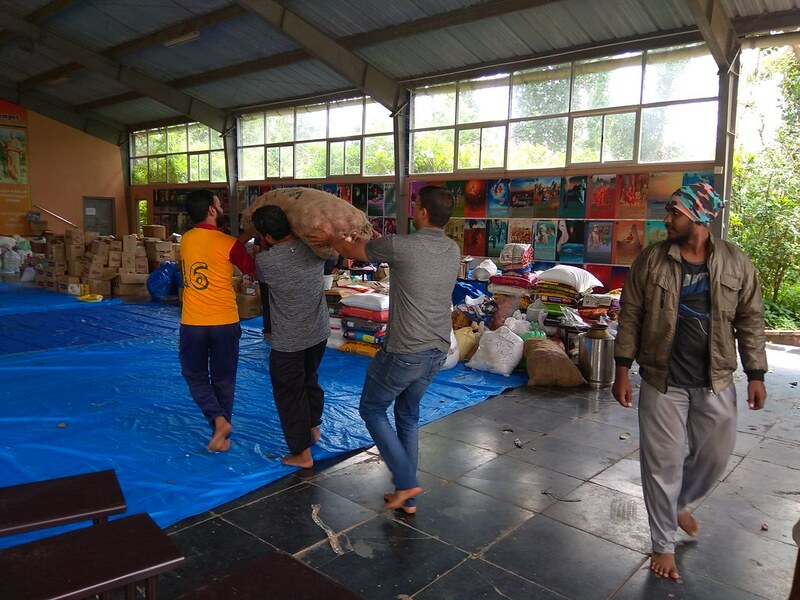 There are more than 40 such camps. 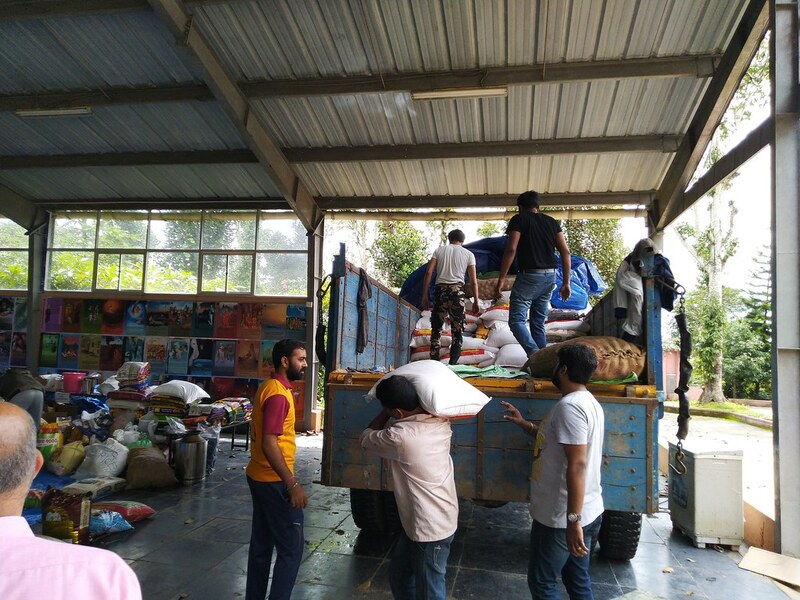 Our Ponnampet Ashrama immediately started the primary relief work from 16th August afternoon itself. 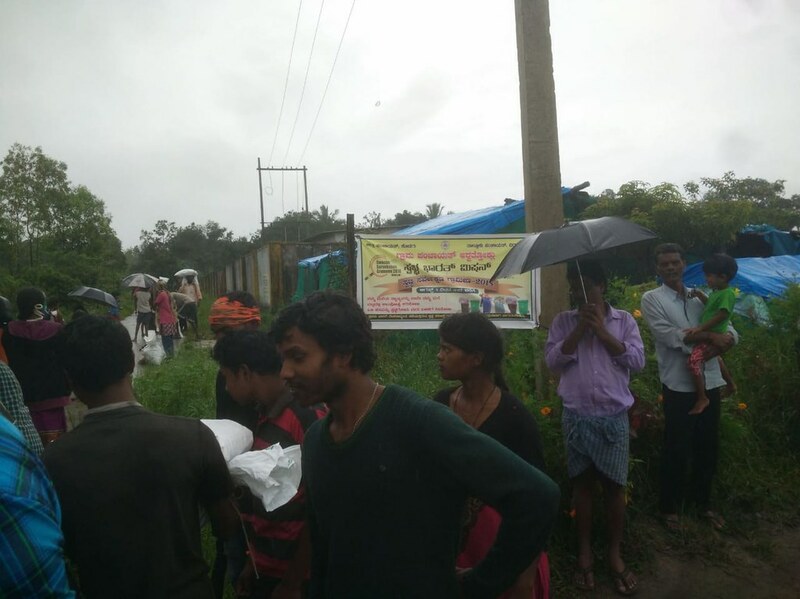 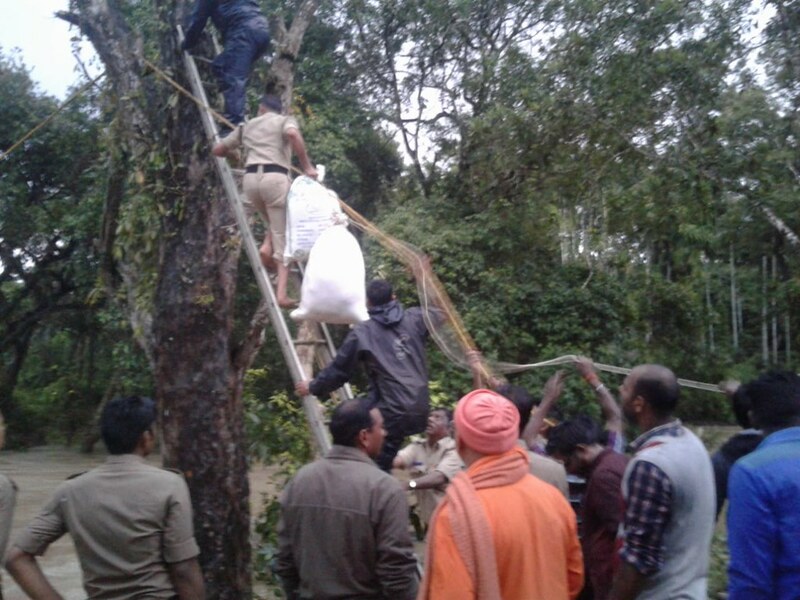 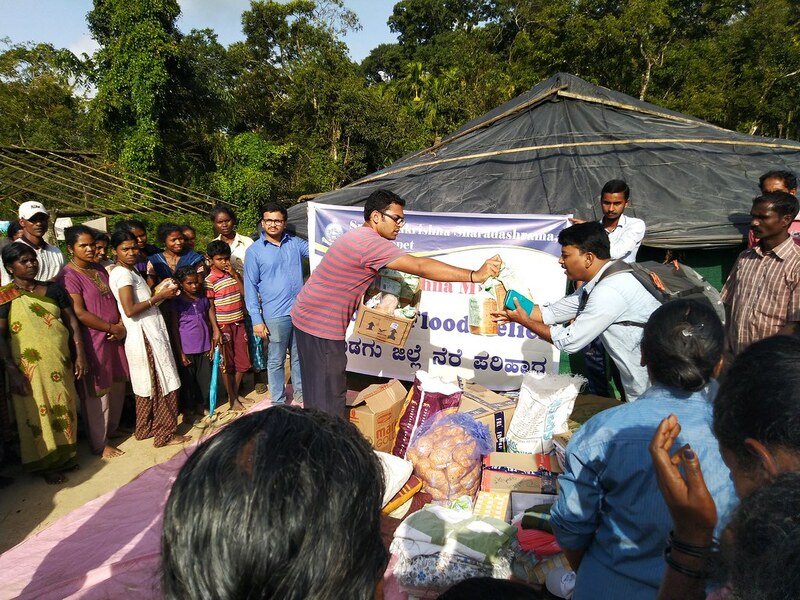 Food was supplied to tribal populace who were stranded on the bank of small Hatur river near Kunda. 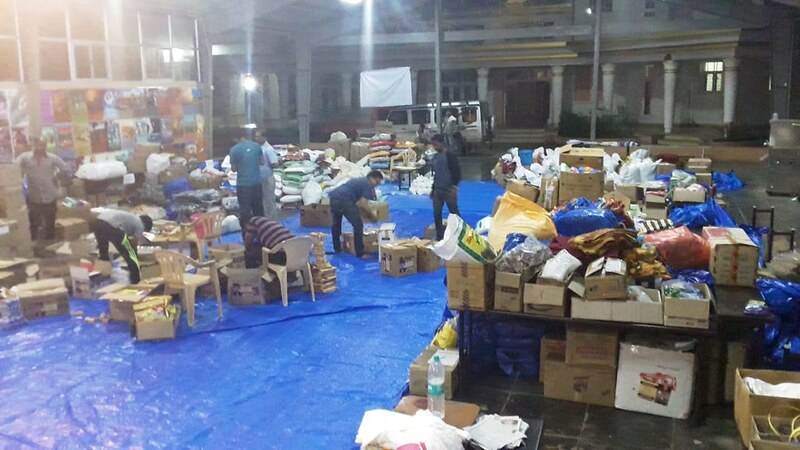 Many volunteers and Fire Brigade helped in supplying these essential items via rope way. 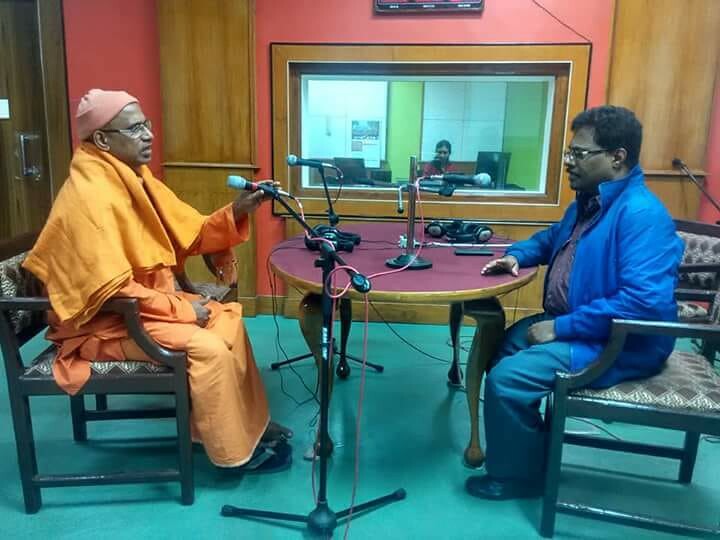 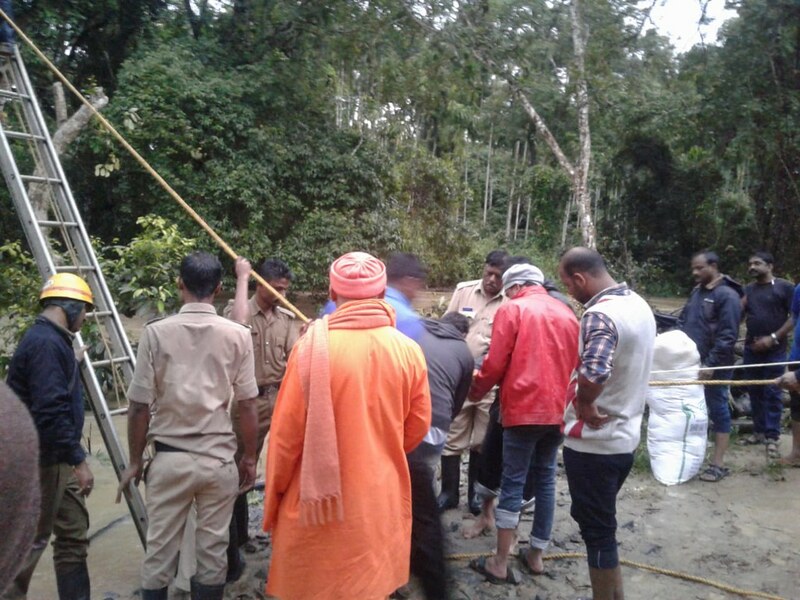 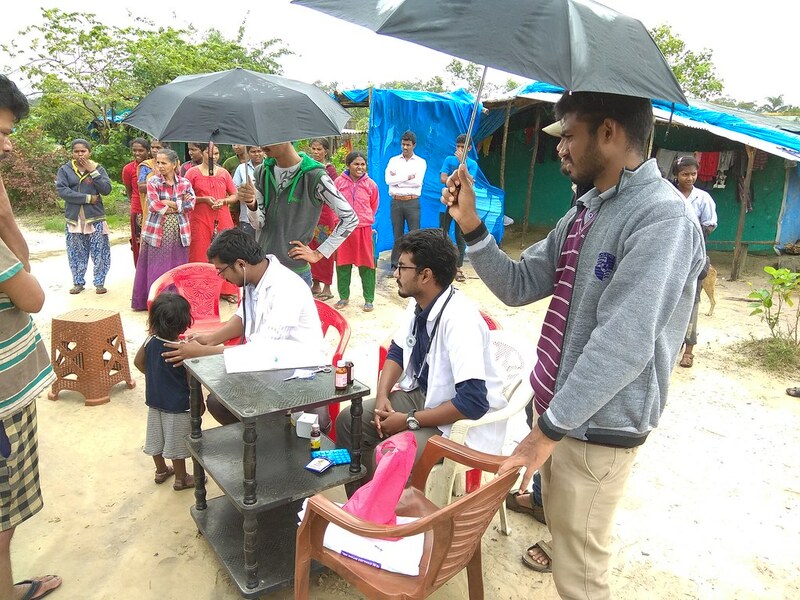 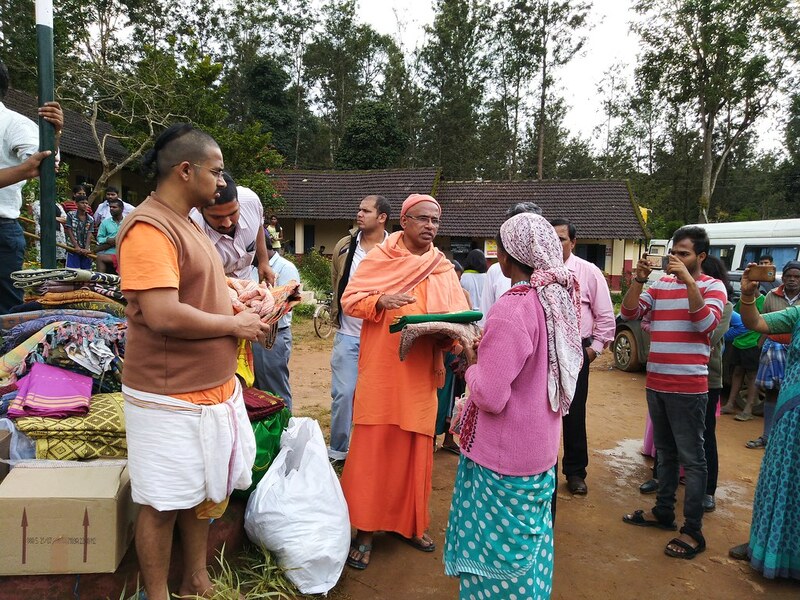 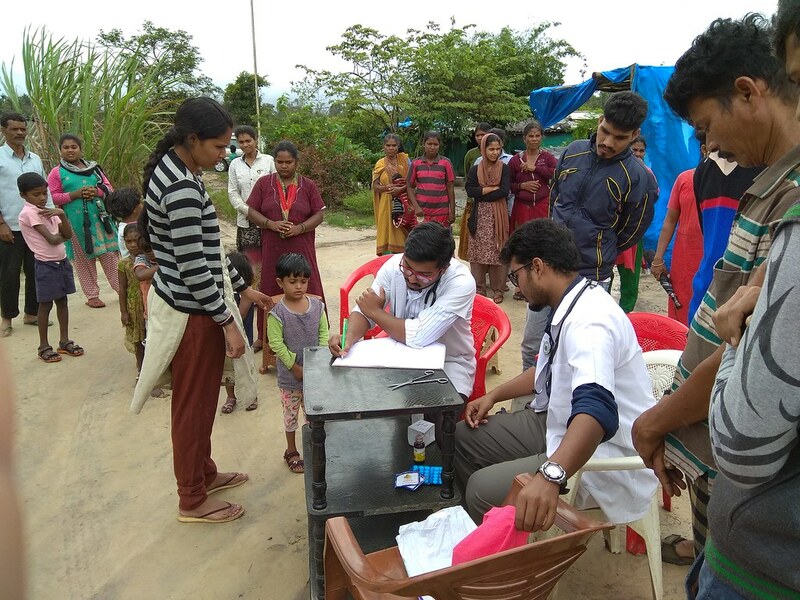 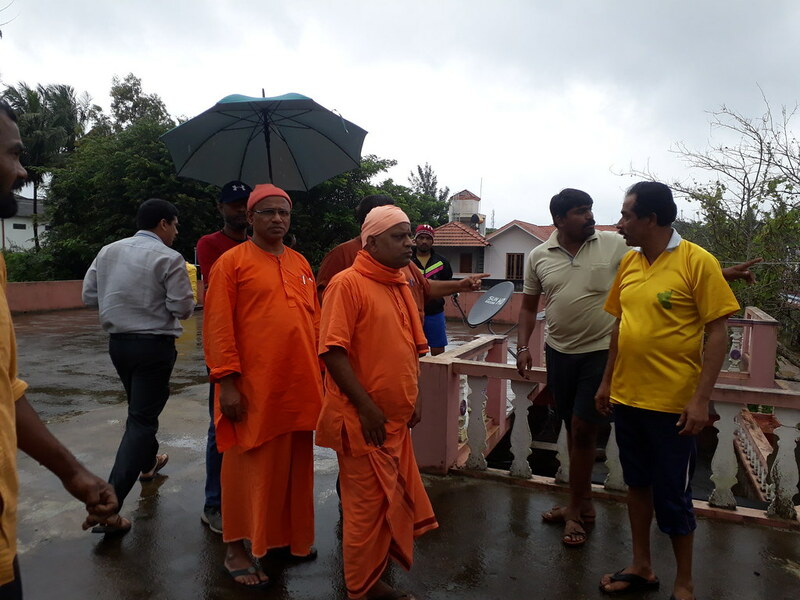 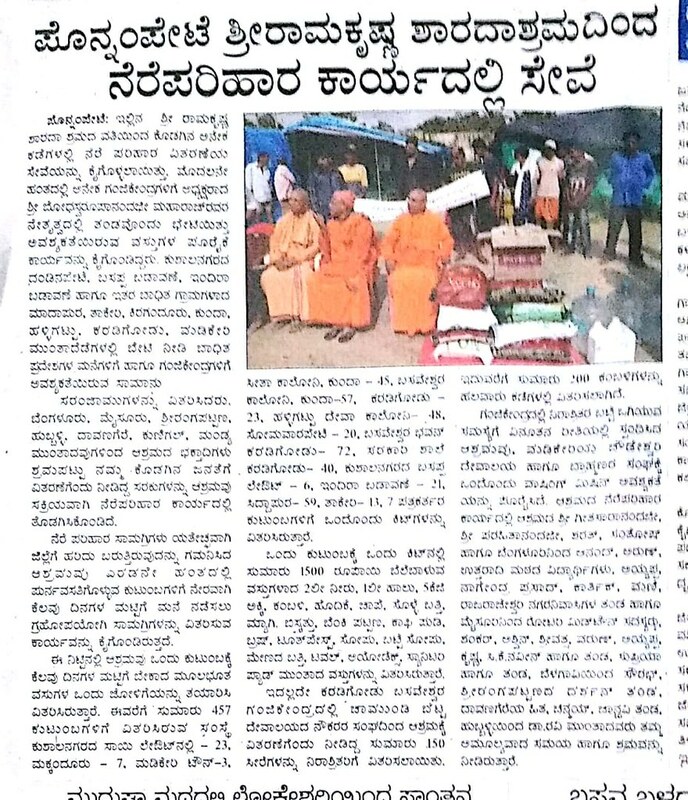 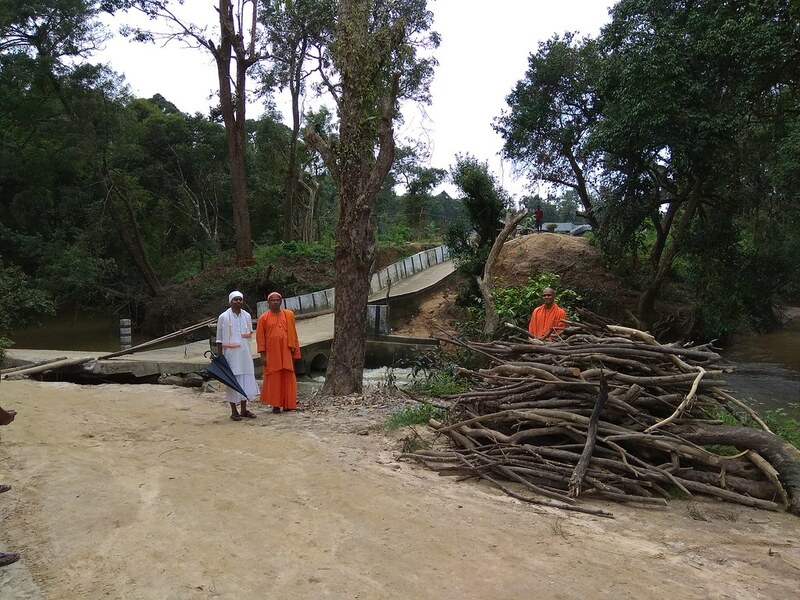 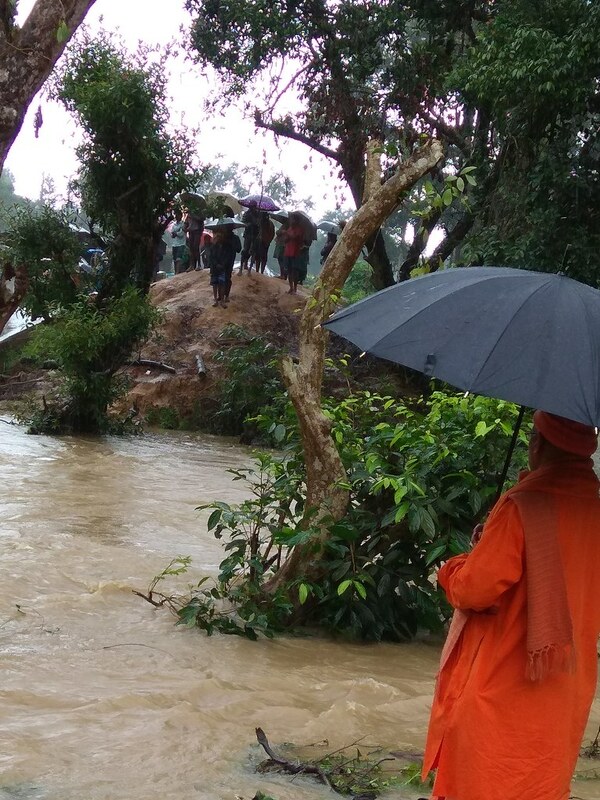 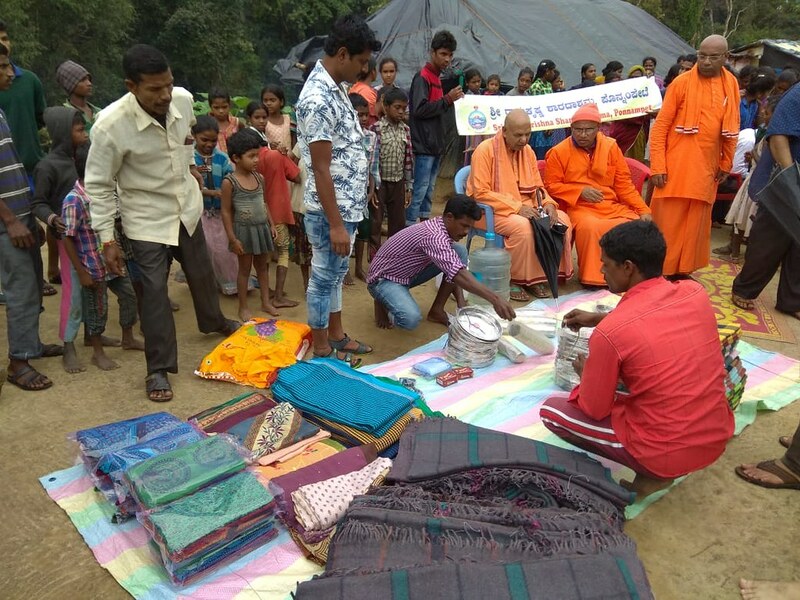 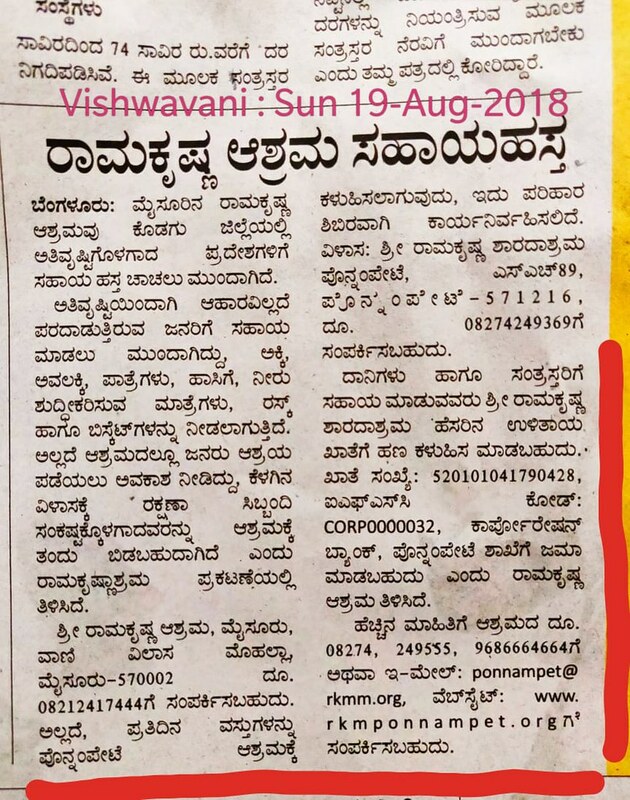 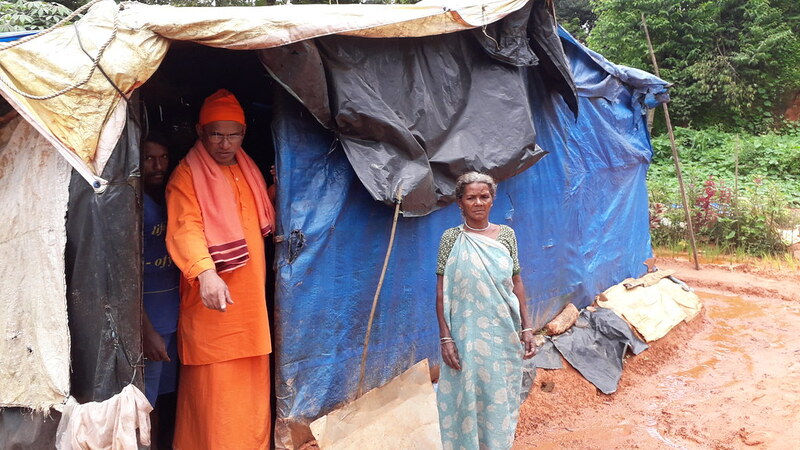 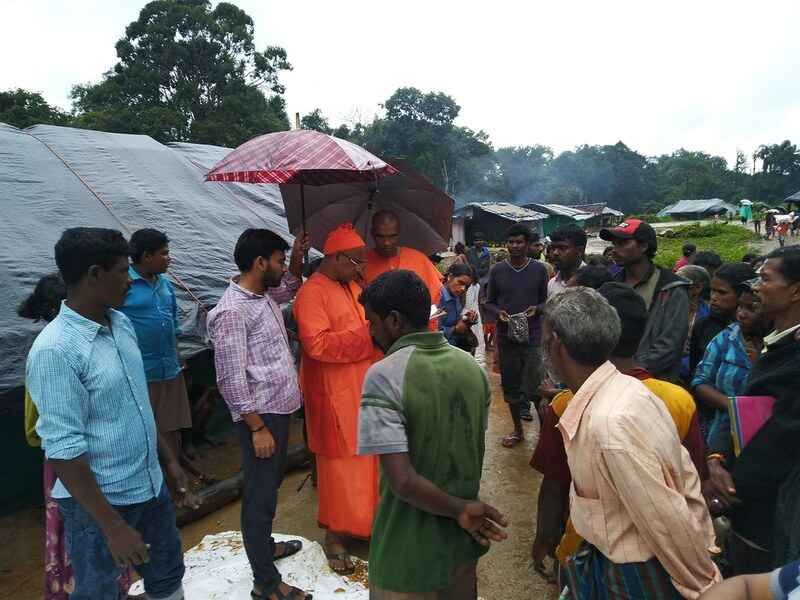 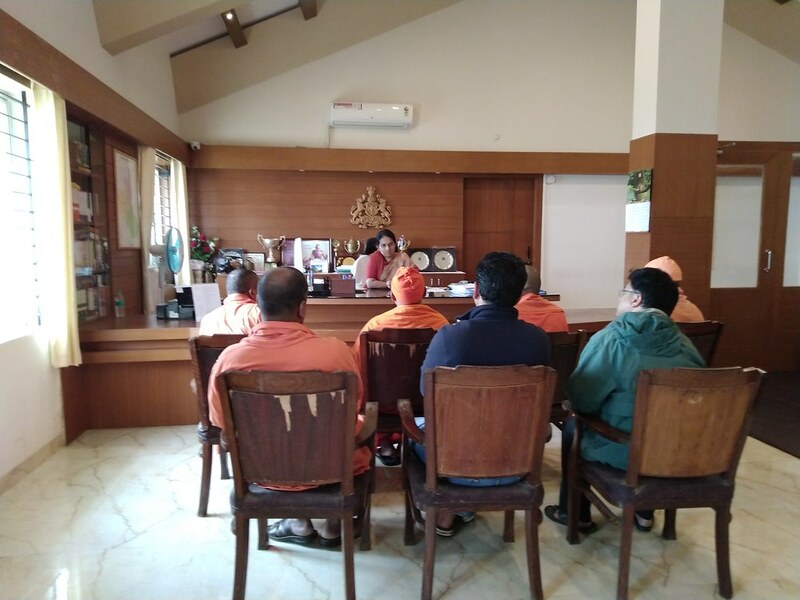 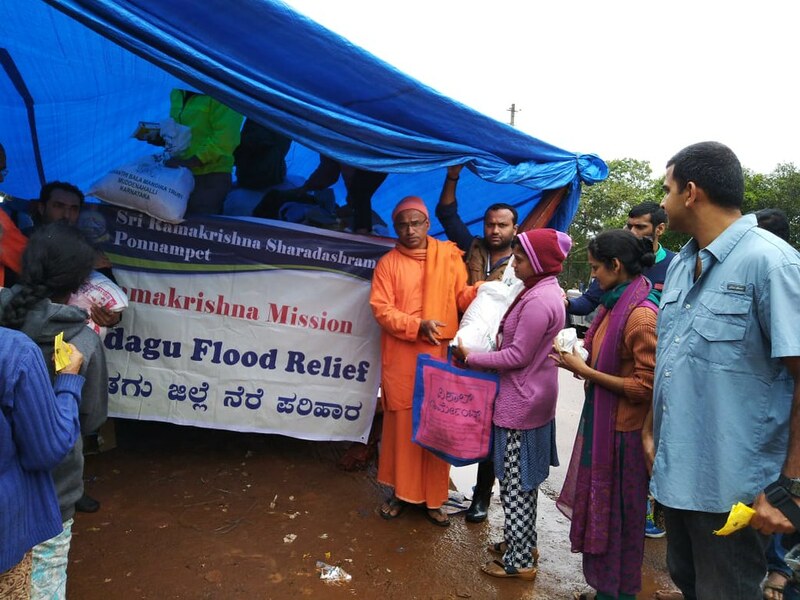 From 16th August onwards, Ponnampet Ashrama started surveying different places in Kodagu district and started relief services in Siddapura (Karadigodu-three camps, Paisari), Kushalanagara (Basappa Layout, Dandinapet, Sai Layout), Madapura, Virajpet (Kunda Basaveshwara Tribal Colony, Seetha Colony, Halligattu Deva Colony), Madikeri. 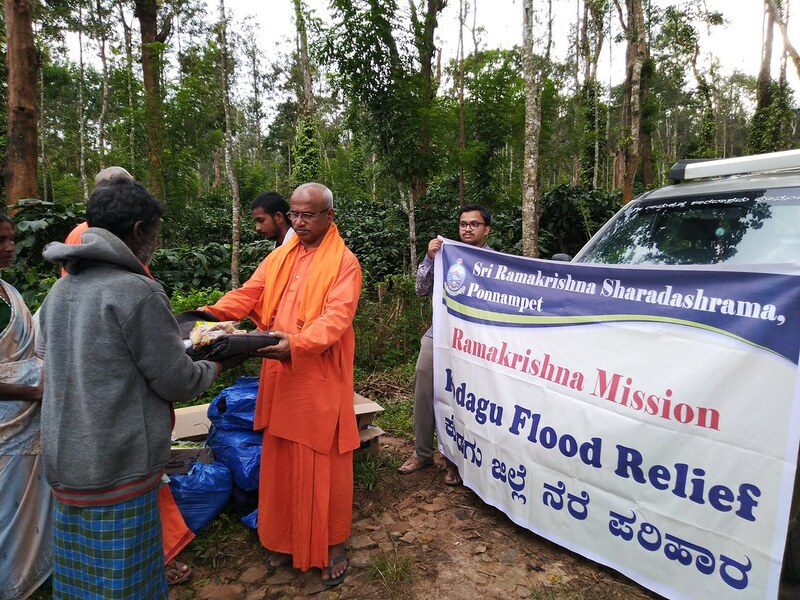 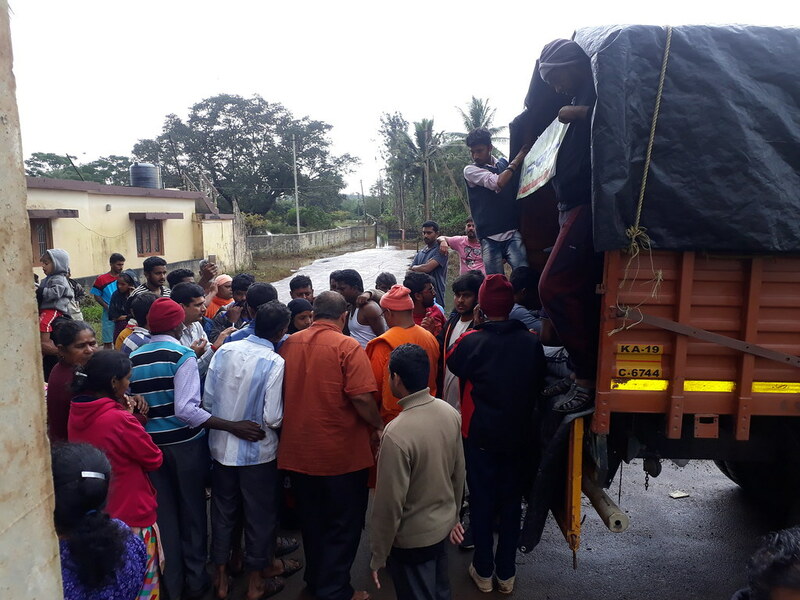 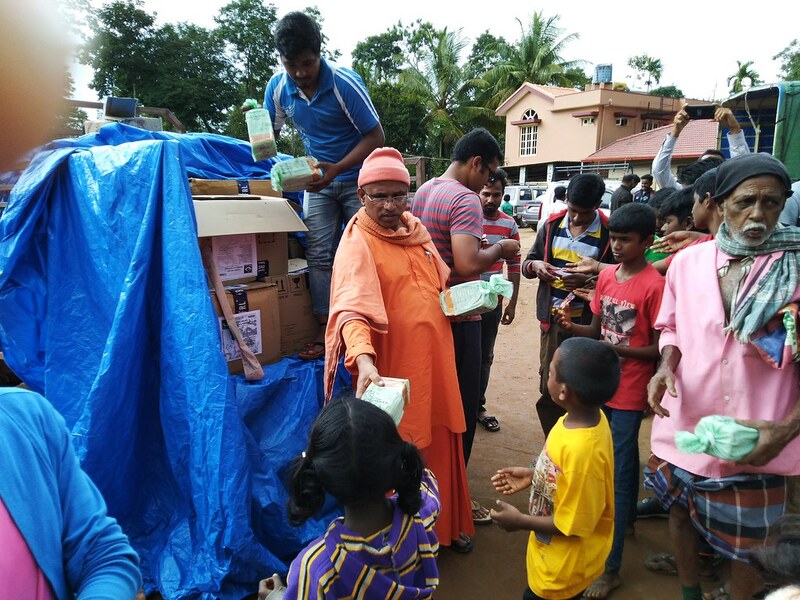 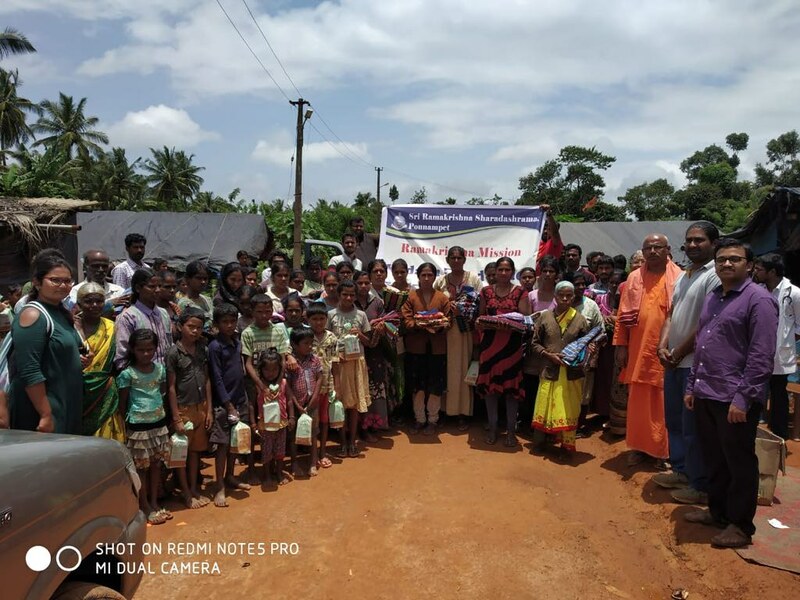 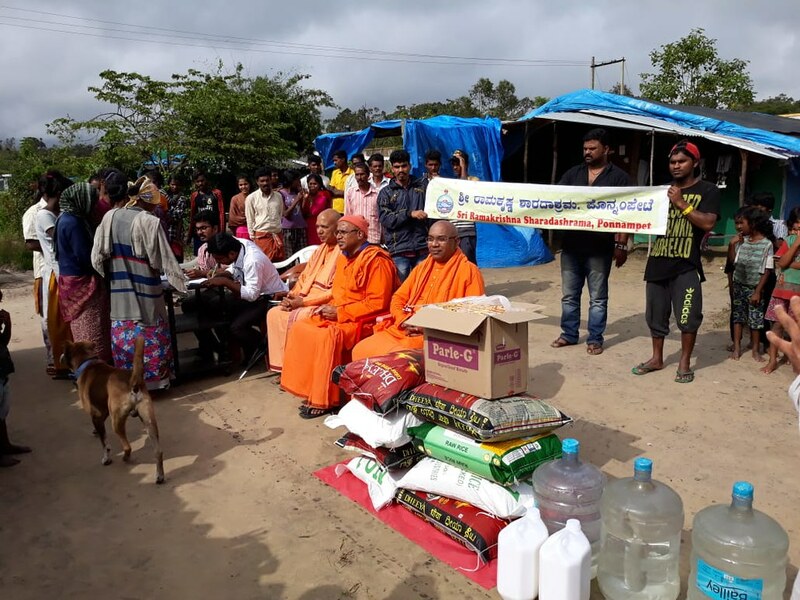 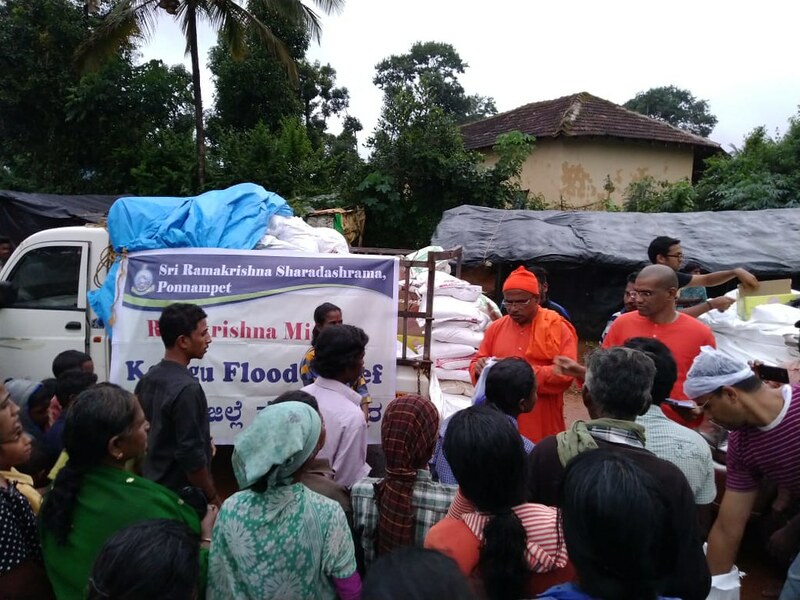 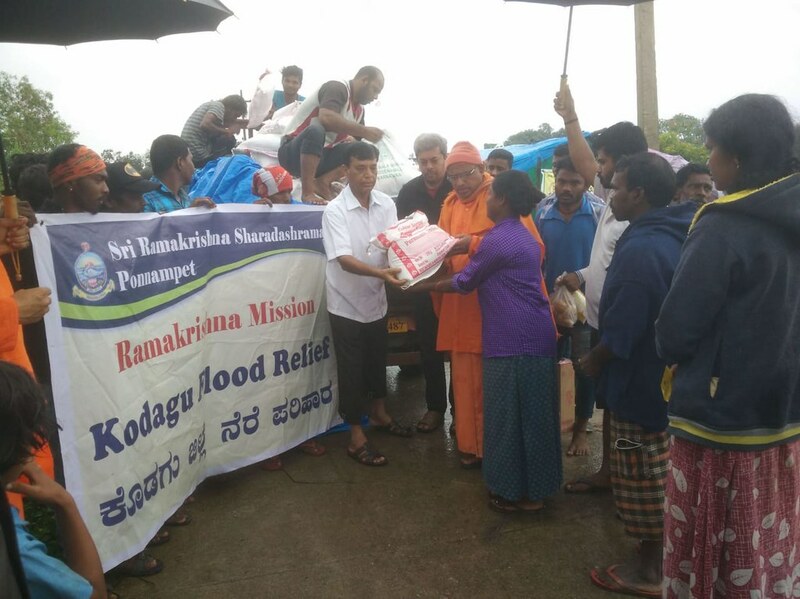 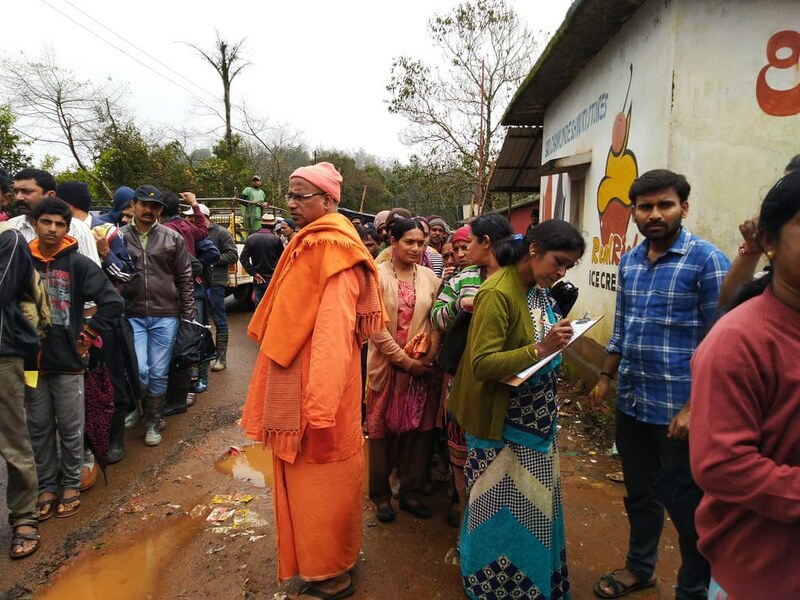 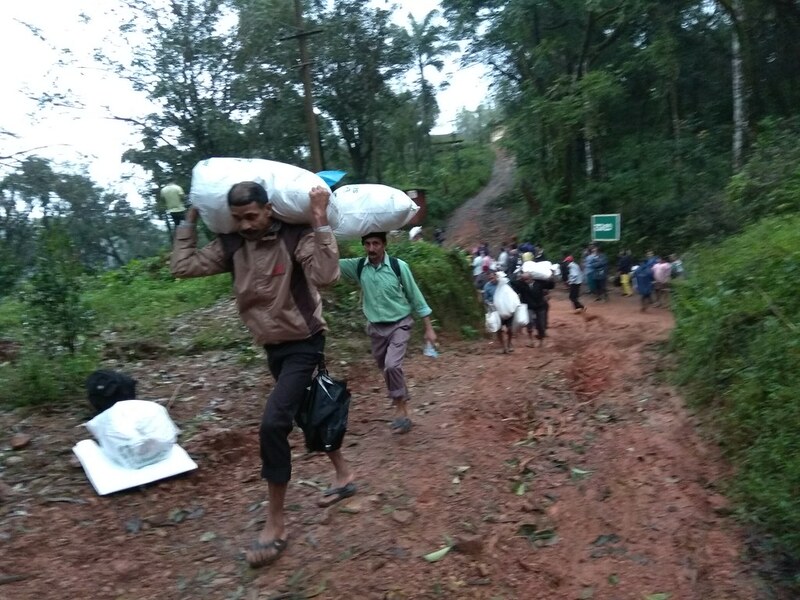 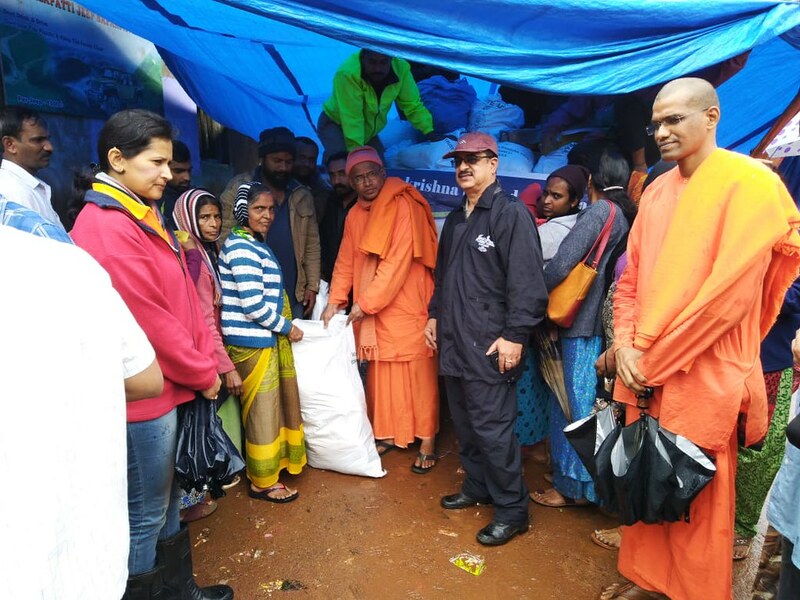 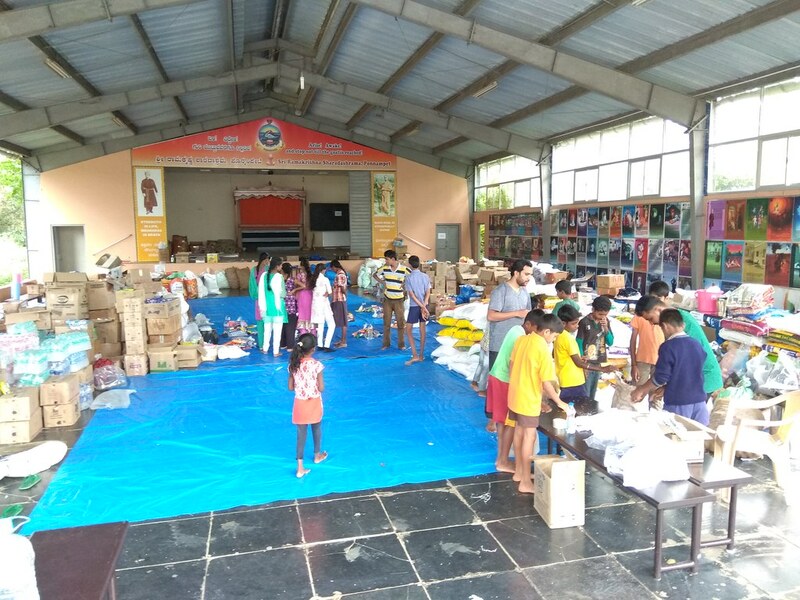 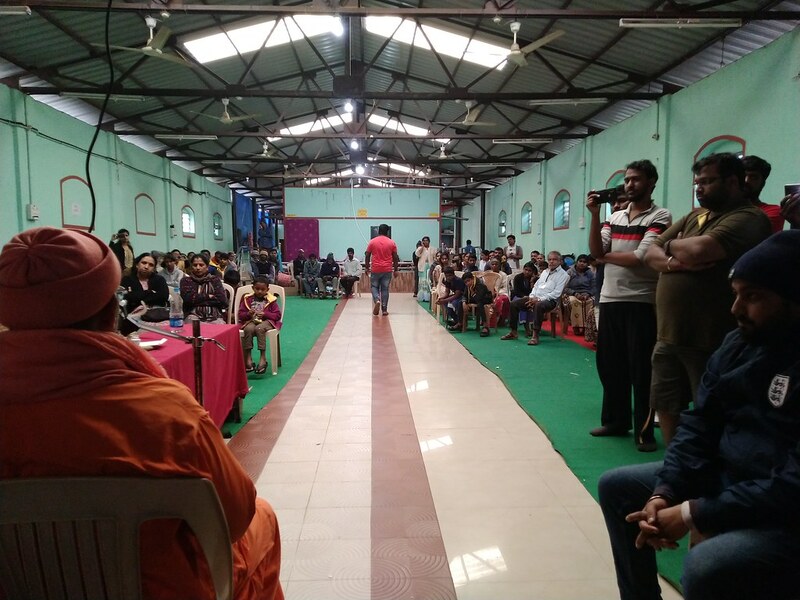 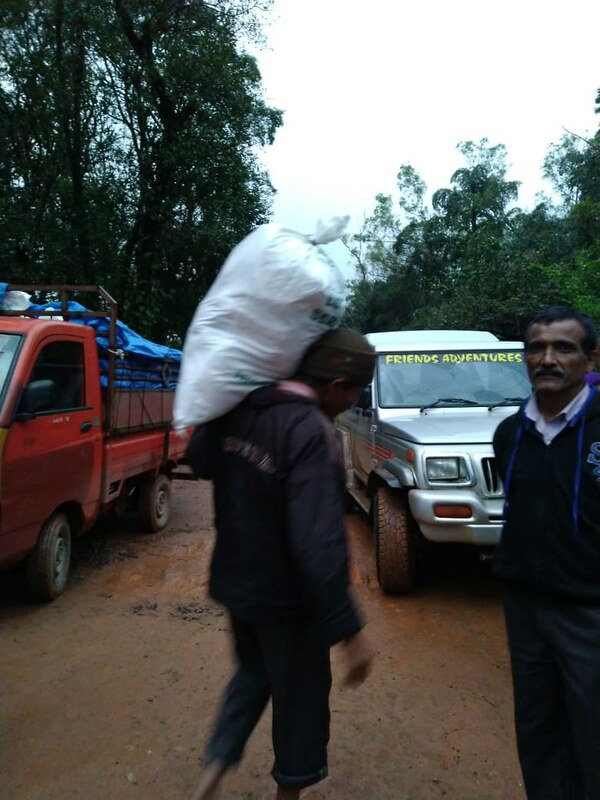 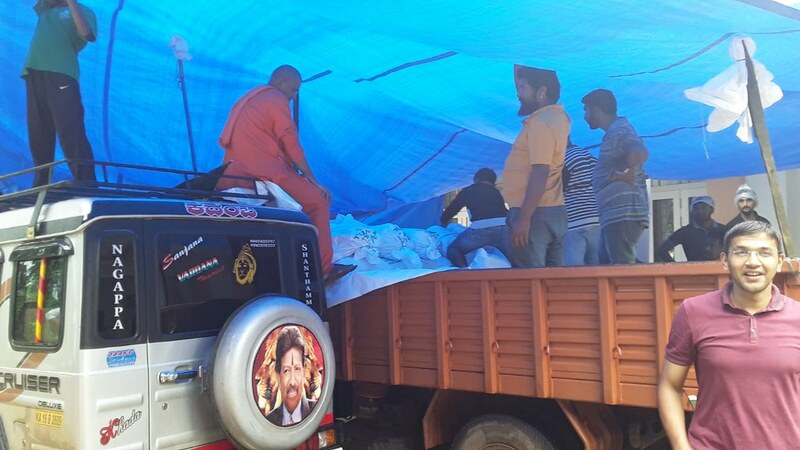 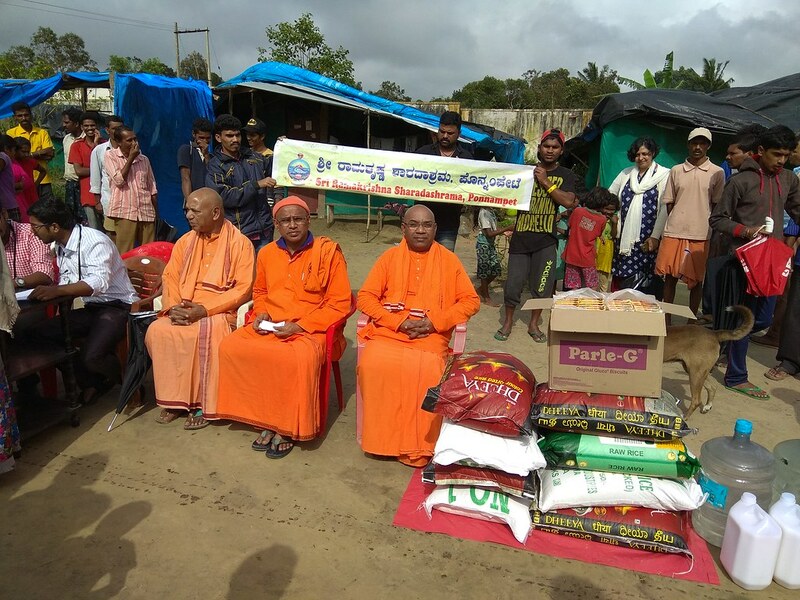 People from Mysore and Bangalore helped a lot in the relief work by providing essential household items, dry food, and sanitary goods, towards the relief work at Kodagu, though our Mysore Ashrama and Bangalore Ashrama. 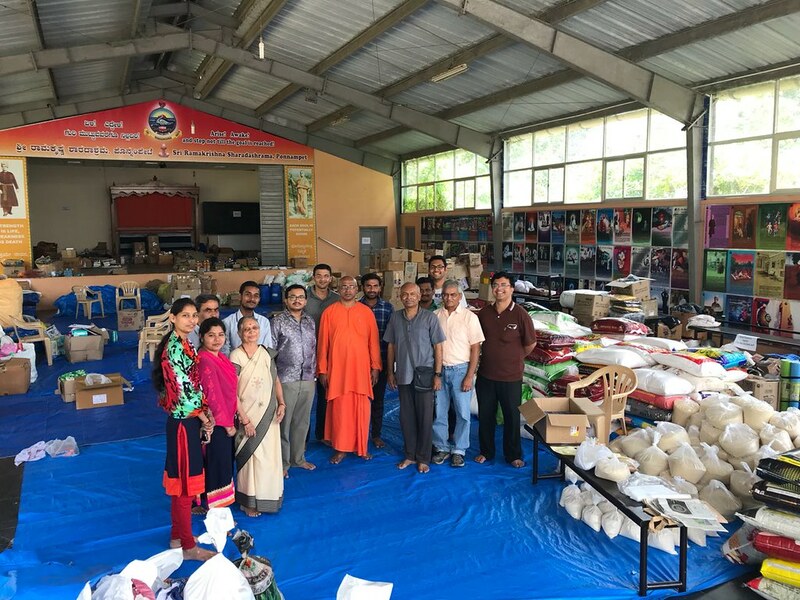 Volunteers and devotees of Ponnampet helped in setting up a collection and segregation centre to prepare individual kits, and to distribute them to the affected people.